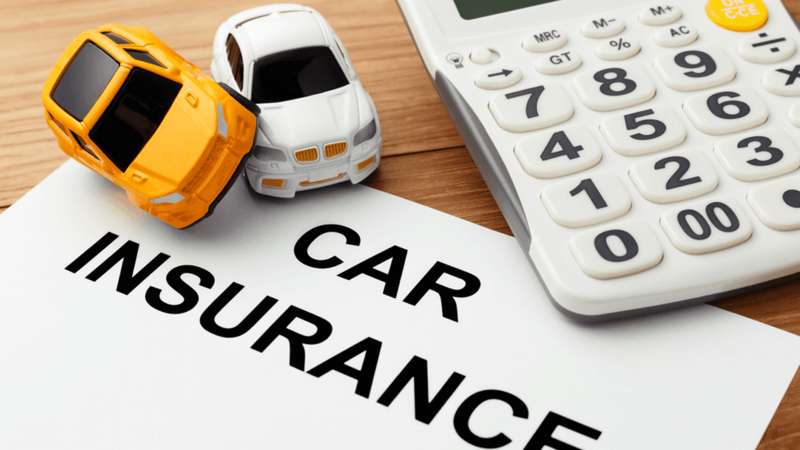 13 Car Insurance Facts You Need To Know Before Buying - AutoReportNG "AutoReportNG-The No 1 Car Blog In Nigeria That You Can Trust - AutoReportNG"
There are only two states in the country that don't require insurance (New Hampshire and Virginia), but in both states, the at-fault driver is still on the hook for all of the damages. So it's in your best interest to opt for the insurance. Whether you're new to car insurance, brushing up on the facts, or you happen to be a car insurance aficionado, we've put together a list of 13 car insurance facts, filled with things you need to know (and a couple of quirky stories). #1 - What's car insurance? Let's start with the basics. Car insurance is a contract between you and the insurance company that protects you from loss due to theft or damage. In exchange for paying your premium, the amount of money you spend each year, the insurance company will pay the losses outlined in your contract. Car insurance typically covers you in three areas; property damage, a liability when you cause damage to someone else's property, and medical coverage when you need treatment after an accident. #2 - What are the benefits of having car insurance? Once you understand the role of car insurance, the benefits become obvious. When you're insured and are involved in an accident, your insurance steps in. If you're at fault for the accident, the insurance company will take care of the damages you caused as outlined in your contract. In most states that require you to have insurance, you will receive fines if you're caught driving without it. Avoiding those fines is a benefit in itself. #3 - How do you get car insurance? Getting your car insurance is a pretty straightforward process now with the internet. In just a matter of minutes, you can be up and running with your plan. It's important to shop around first and not choose the first plan you come across because the prices and coverages will vary. 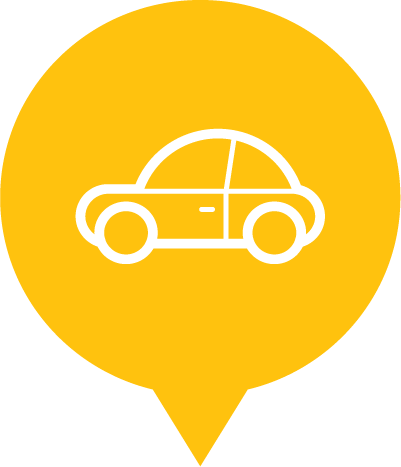 Before you begin you will need information about your vehicles and the drivers you plan on insuring. Nothing complicated here, just general information about the car and the driving history of the drivers. There are even companies now like progressive.com that will allow you to compare their prices against their competitors. #4 - What's the average price of car insurance? This question isn't easy to answer because there are many variables that come into play. Things like your age, driving history, and even where you live will determine your rates. If you have a clean driving record, your rates will be lower. If you're older with more driving experience, your rates will be lower. If you live in an area with a history of claiming little on their car insurance, your rates will be lower. #5 - Which state has the highest premiums? The lowest? If you live in Vermont you'll be happy to hear that you're paying the least amount, on average, for your car insurance at $932 per year. However, if you're a resident of Michigan, you're paying the highest amount for your car insurance at $2,239 every year. The national average is $1,365, so in Vermont, you're paying $433 less than the average, and in Michigan, you're paying a whopping $1,337 more than average. #6 - Can social media determine your rates? Don't worry though, the idea was scrapped at the last second due to Facebook blocking the company from using their customer data. #7 - What kind of insurance should you get? - Collision: This will take care of your vehicle after an accident. - Comprehensive: Takes care of your vehicle for reasons other than an accident, like theft or natural disaster. - Personal Injury Protection: Takes care of medical bills because of an accident regardless of fault. - Auto Medical Payments: Similar to personal injury protection, but limited in its scope. - Uninsured/Underinsured Motorist: Helps with expenses if you're involved in an accident with someone without adequate insurance or no insurance at all. #8 - Why do men generally pay more for car insurance? * The cars women drive vs. men. * The frequency of accidents among men vs women. * The average number of miles driven by men vs. women. * Be involved in an accident. * Buy sports cars that are costly to insure. * Drive as many miles as the average male driver. A 23-year-old man from Alberta, Canada took advantage of a loophole to save some money on his car insurance. After finding out he would save about $1,100 on his insurance if he was a female, he decided to be a female. Well, sort of. He got a doctor's note explaining that he identifies as a female (even though he doesn't) and then changed his license and birth certificate to reflect that. Then he submitted the paperwork for his car insurance, and voila, he saves an extra $1,100 a year on his insurance. #9 - Are third-party rates the cheapest? You would think so because as the name implies, it only covers damage done to the third party and not any damage that was done to you. However, it's been found that full comprehensive coverage is often the cheapest. 1. Always shop around for your insurance. 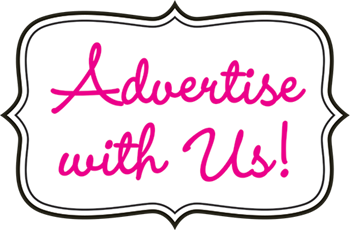 Prices will vary from company to company, so you need to do your research. You should compare prices between at least three companies. 2. Keep your car in mind. Some cars, like bright red sports cars, cost more to insure compared to vehicles like minivans. There are more inherent risks involved with sports cars than there are with mini-vans. Keep that in mind as you shop for your new car. 3. Raise your deductible. This can significantly decrease your monthly premiums, just be sure you have enough cash to pay the deductible if you ever need to. 4. Keep good credit. This one is often overlooked, but a good credit score will keep your premium payments low. 5. Defensive driving courses can lower your rates. It varies from state to state and company to company, but typically, taking a defensive driving course will save you money. 6. Keep low miles. Driving fewer miles means you're at less of a risk for an accident, and many insurance companies will compensate you for that with a lower premium. 7. Don't ignore your local brands. If their rates aren't lower, their customer satisfaction is usually higher. 8. Ask about discounts. Popular discounts include multi-car, bundling your car insurance with homeowners insurance, and paying your premium in one lump sum. #11 - Why is your neighbor's rate cheaper than yours? #12 - What is pay-per-mile car insurance? The German car Emil launched Germany's first pay-per-mile insurance program that measures users mileage in real time. Their customers base a low monthly fee, and then a few cents per mile on top of that. Drivers who don't use their car very often stand to save a lot of money this way. The program works using a dongle that plugs into your diagnostic system. The app that powers the dingle also gives your car other smart features, such as tracking the vehicle's location, a "driver's logbook," and remote diagnostics. #13 - Who are the best car insurance companies of 2018? First of all, let's talk about what makes the best car insurance company the best car insurance company. - They balance their rates with the amount of coverage they offer. - They work with you to figure out how much car insurance you need and explain your policy to you. - They walk you through the claims process, keep you informed, and work with you to resolve any issues you have. - They will help you understand how car insurance works and make you feel like you've gotten the best value for your money. - They will offer you insurance discounts for things like having multiple policies or a good driving record. - They have great customer service, keep their customers updated on the status of their claims, and make sure the customer is satisfied with the way the claim is resolved. USAA: Customers report that they love USAA for its customer service, ease of filing a claim, and frequent updates on claim status. USAA customers also report that USAA is a good value, and USAA's average annual rates are some of the lowest in the business. Not everyone can reap the benefits, however, because it's only available for the military and their families. Travelers: Travelers' customers report that they appreciate the customer service Travelers provides, and the company gets high marks for its claims process. You get what you pay for though because Travelers' average annual rates are a bit higher than average. State Farm: State Farm gets high marks from its customers for ease of filing a claim, and many State Farm customers say they're likely to renew their policy with the company. State Farm rates are, on average, lower than most of the competition. Geico: Geico customers say it's easy to file a claim with the company, though some were unhappy with status updates from the insurer. Most Geico customers would recommend it and plan to renew their policy. Farmers: Farmers gets high marks for ease of filing a claim, customer service, and how claims are resolved but lower scores for value. That might be because Farmers' rates, on average, tend to be higher than the competition. Nationwide: Nationwide's customers are generally happy with the company's customer service and how claims are resolved. Progressive: Progressive customers are satisfied with how easy it is to submit a claim to Progressive but are less positive about the company's customer service, communication, claim resolution, and value. Allstate: Allstate agents offer supplemental, limited benefit insurance coverage that can help with doctor bills, hospital stays, and even some non-medical expenses if you're dealing with an accident, disability, cancer or critical illness. There you have it. If you're new to car insurance, I hope you learned something while you were here. Car insurance can be overwhelming and frustrating, but it's necessary. Don't be intimidated at the thought of buying car insurance. Do your research, pick a plan, and then adjust as necessary.